Your dolmades and youvetsi look amazing! It was so funny when my Greek friend Artemis won this box at FBC5! I remember you saying! Did she take the box home with her? I’ve never tried making either dolmades or youvetsi before but they were both really simple with the ingredients and recipe provided, and the whole family simply devoured them! Not sure what she did! Now you reminded me I’ve sent a message asking her 🙂 I haven’t tried making dolmades, always thought they were tricky! And they are easy to get in a tin here so I’ve been lazy. You’ve given me motive now! I looove them with yogurt! I was wondering where you were this month with #recipesforlife! 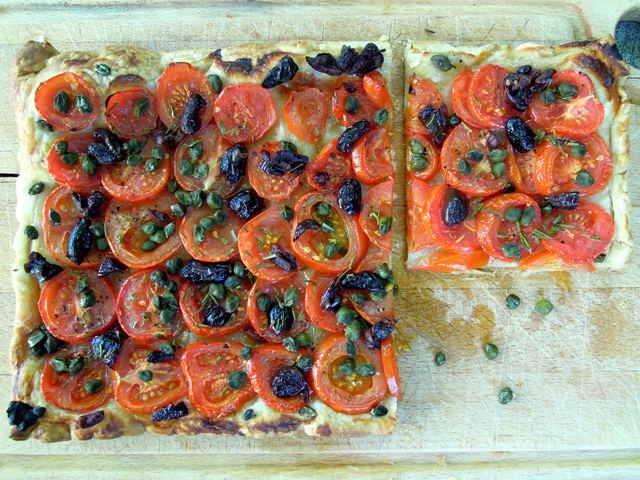 But honestly, you can’t be expected to do one while you’re on holiday – plus we’ve thrown in an extra month for August, so no pressure… The tart with olives and capers was a big hit here. Your recipes look wonderful! Love to try out more Greek food! Thanks Helen. After a holiday in Kefalonia last year, I’ve been meaning to cook more Greek food and this provided the perfect opportunity. I love the idea of the world coming to my door. And then I will get to cook it……..
It’s such a great concept, isn’t it? Gorgeous post and dishes! Am now more than a tad excited about the prospect of my Greek Autumn once I’m finally re-united with my FBC won Nomad Box. So can’t wait to try all these dishes too, and hoping my kids like the vine leaves as much as yours but am doubtful! Wow, what a great delivery idea. It all looks so yummy. Hard to say which was my favourite. Probably the lamb because it was so tasty but so easy to prepare. I’ve not dipped into mine yet, but plan to soon. I did wonder what the bark would be for. Great review! Thanks Jac – you’ll love it when you do! That’s a big greek feast! Well done 🙂 Every single dish looks very tempting, even lamb which I normally don’t eat. Thanks Sylvia. We felt very spoiled with all our delicious food! I’d LOVE to try one. After moving to London, I’ve been pretty far out of my food comfort zone and I’d really enjoy trying some authentic Greek food with real ingredients! 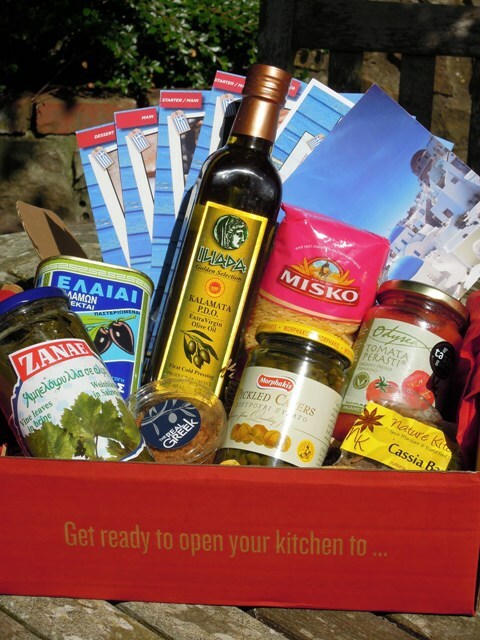 Sounds like you’re a perfect candidate for the Greek food box! Ooh, that tart looks awesome! And it’s just so darn easy too – huge bonus! It looks amazing! I’m still trying to get my head around the lack of ethnic food here and this would be absolutely amazing and delicious for me – would love to win the kitchen box! This is such a great concept and I love the surprise element you get each month. Having just been to Vietnam in February – a great holiday for anyone thinking of going, and I must get round to blogging my experience! – I am keen to see what they will put in their box. I signed up a couple of days back, will let you know how I get on. 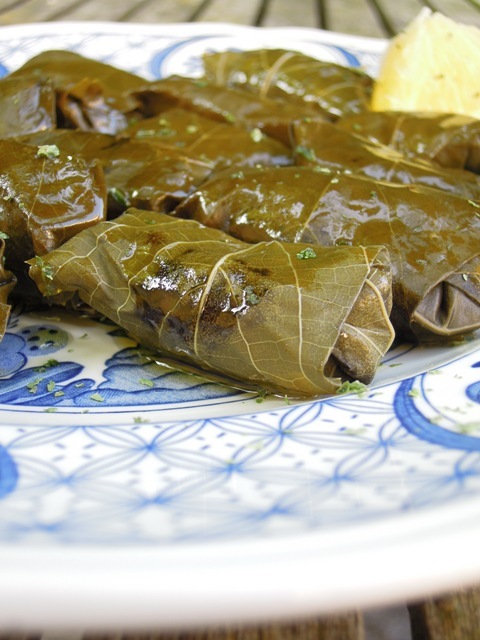 Your dolmades look amazing btw! 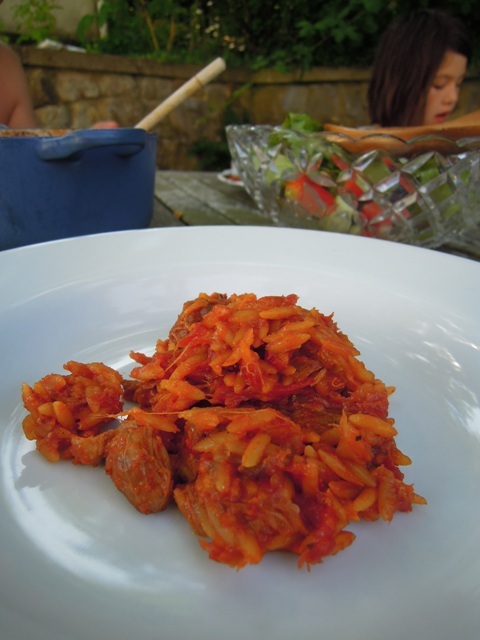 To have diverse quality ingredients coupled with the recipes in a Kitchen Nomad box would be a brilliant opportunity and I know my family would appreciate a little variety in their meals! Never tried Greek food before, the recipes look great. 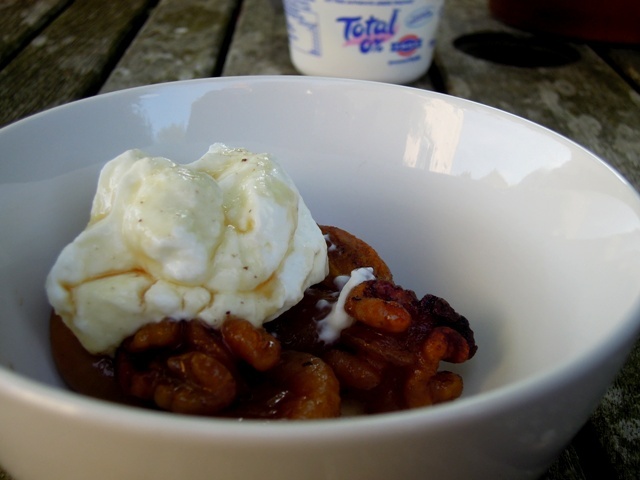 I love experimenting with new ingredients and I’ve never used several item found in the Greek box. This seems like a really cool idea! That all looks delicious! I’d love to win a box to try out a few new recipes. 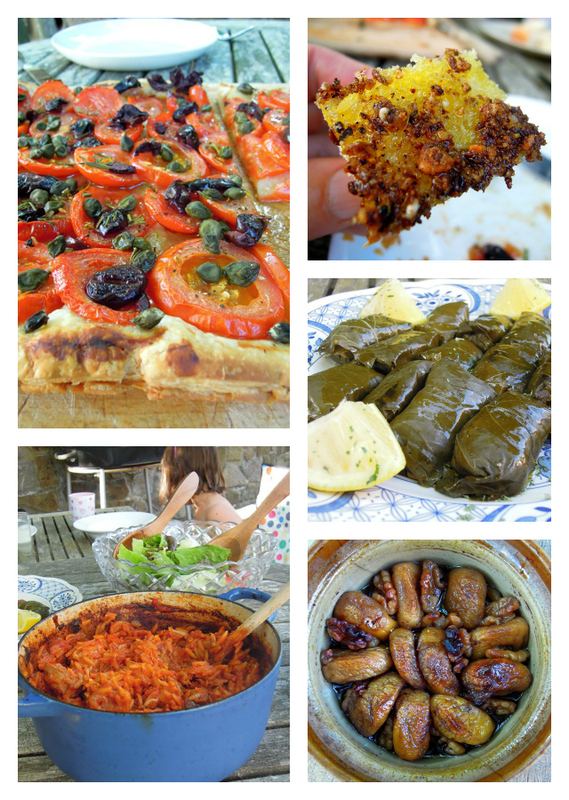 Would love to try cooking some new Greek-style dishes (especially keen to have a go at the stuffed vine-leaves). I’d personally love to win a Kitchen Nomad Box so I can get out of the rut of cooking the same meals over and over again! I would have LOVED the Greek Box! Love Geek food. I arrived back last Friday from yet another Greek holiday. Their food is so much healthier and tastier than we get back home. I would love to try the items in this box. I had a bad experience in a greek restaurant many years ago where the food was awful, so I would love the obsiously high quality items to restore my appetite for Greek food. So glad that you all like the concept! 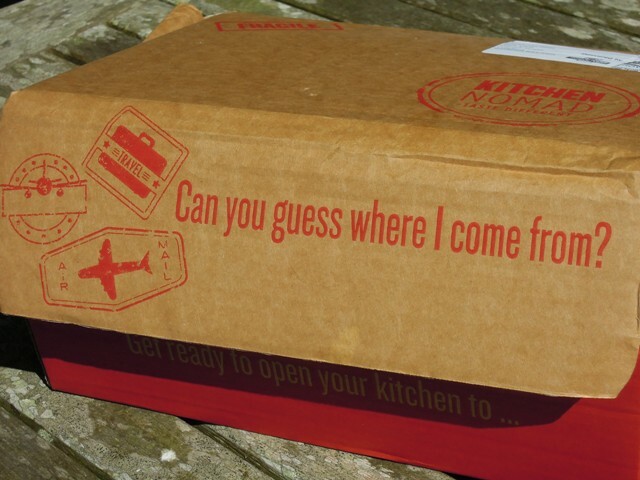 You can sign up at http://Www.kitchennomad.co.uk to get a box delivered directly and experience the surprise of a new country every month! I would love to win a box because I always enjoy trying food from different cultures. Thanks so much for re-blogging Martin!